From Orson's booming voice on Mork & Mindy to Nanny's soothing maternal tones on Muppet Babies, some of the most memorable characters in film and television are the ones we never see—until now. Check out the faces behind seven of the most recognizable voice characters ever. 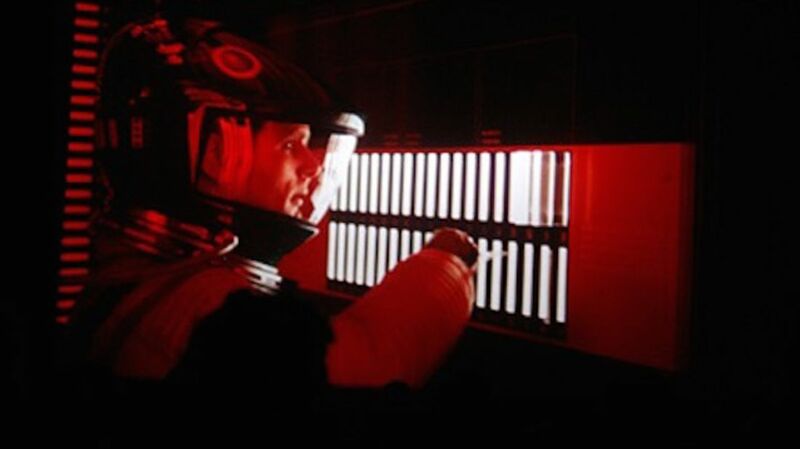 Had Stanley Kubrick and company gone with an alternate version of the script, Canadian actor Douglas Rain wouldn’t have had a job as the eerily calm HAL 9000 in 2001: A Space Odyssey at all. Early drafts featured Discovery One’s computer as a woman named Athena. Prior to his iconic voicework, Rain was known mostly for his work on the stage, including four decades with the Stratford Festival in Ontario. Casting directors knew what they were doing when they hired Barbara Billingsley to provide Nanny’s motherly-sounding voice on Muppet Babies: She’s best known for her role as iconic mom June Cleaver on Leave It To Beaver. Billingsley received two Daytime Emmy nominations for speaking for the lady behind the striped socks. George Wendt presumably has a happier marriage than his Cheers alter ego Norm Peterson. Though Norm frequently complained about his wife, Vera, George has been happily married to Vera’s voice, actress Bernadette Birkett, since 1978. Carol Ann Susi started acting in the 1970s and had roles in everything from Sabrina, The Teenage Witch to Coyote Ugly. What she may have been known best for, however, was providing the grating voice of Mrs. Wolowitz on The Big Bang Theory. When Susi died of cancer last year, producers decided she was so unique that they couldn’t possibly hire anyone else to provide Howard’s mother’s voice. Instead, they had the character pass away in her sleep. Ralph James did a lot of voice work for cartoons. You may know him as Doctor Doom in Spider-Man or as Mr. Turtle in the old Tootsie Pop commercials. But if you ever watched Mork & Mindy, you’ll definitely recognize his commanding voice as Orson, Mork’s boss from the planet Ork. Charles Townsend may have gone unseen on Charlie’s Angels, but actor John Forsythe was pretty high profile. Not only was he the man behind the Angels’ missions, he also played Blake Carrington on Dynasty. It’s said that Forsythe’s role as Charlie made him one of the highest paid actors in television when you calculated his rate on an hourly basis: Because he didn’t need hair or makeup and had no interaction with other actors, Forsythe could record his lines in minutes and be on his merry way. If you still have fond memories of a raspy voice declaring “I'll get you next time Gadget... next tiiiiime,” you have Frank Welker to thank. Welker’s range is shockingly broad: he was the Inspector Gadget villain, obviously, but also Fred in Scooby-Doo, Gogo Dodo on Tiny Toon Adventures, the Beagle Boys on Ducktales, and countless others.